News flash: I ate frozen yogurt and I didn't hate it. 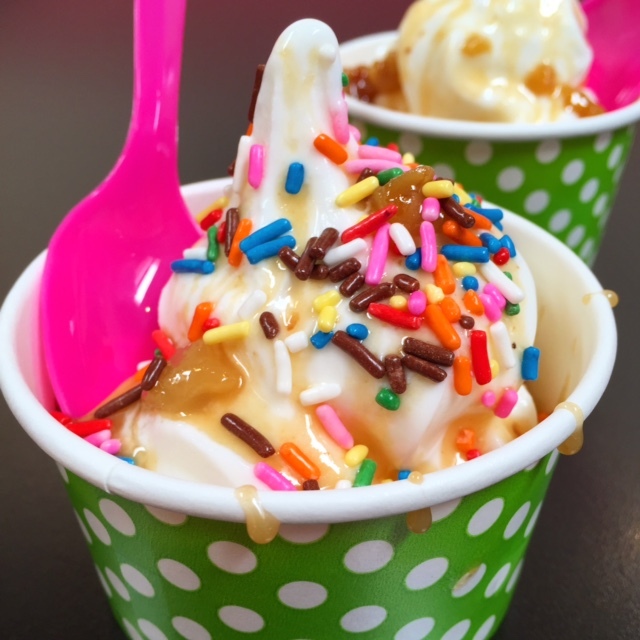 If you read this site, you know that I have strong feelings about frozen yogurt. It's not ice cream. It never will be. Keep it off my dessert plate, please. 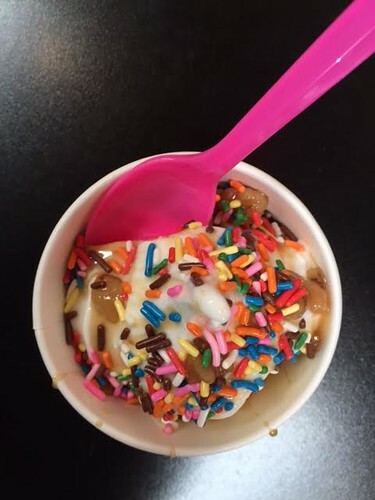 But as part of an ice cream and frozen treat expedition for an article I was writing for New Mexico magazine, I found myself duty-bound to sample the frozen yogurt at local Santa Fe mini-chain Yoberri. And I didn't hate it. 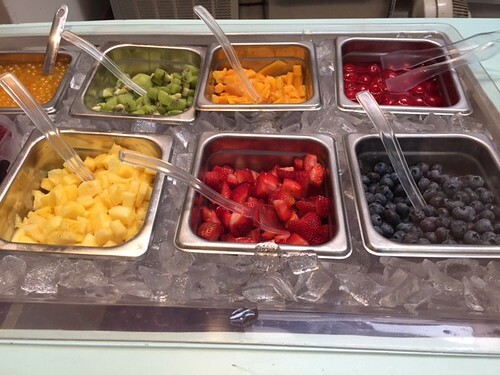 What is so special about this particular variety of fro-yo? Perhaps it's the fact that it's made in-house, with quality ingredients. Perhaps it's because they make it with care and precision, and it has a smooth, non-grainy texture. Or maybe it's the toppings, which include homemade maple fudge sauce, chocolate chili sauce, and more. And fruit, if you're into that (I AM NOT). Whatever it was, I found this frozen yogurt downright enjoyable. I got the "classic tart" vanilla, and topped it with aforementioned maple fudge sauce and (natch) rainbow sprinkles. And I ate every bite. Don't get me wrong, my personal preference is still for ice cream; I'm of the "gimme the cream!" sort of mentality that I'm sure other ice cream aficionados will appreciate. But as frozen yogurt goes, this is some of the best I have tasted, and I would eat it again. There, I said it. I enjoyed eating frozen yogurt. 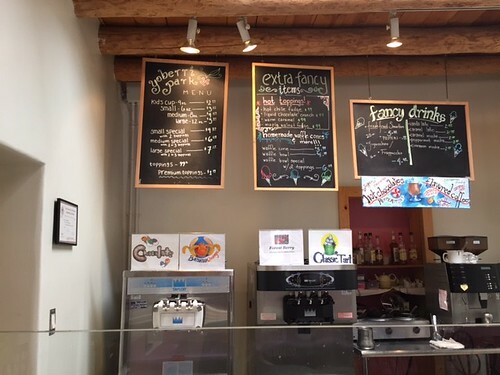 Yoberri, two locations in Santa Fe; online here.